In the early days of the thirteen colonies and then the United State a large cooking pot hung in the fireplace. 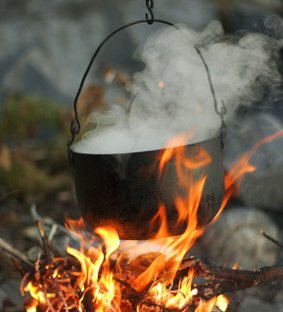 Most things edible were thrown in the pot along with water and a soup or stew was made from the ingredients. When grains were added into the mix it became porridge. The Linus Pauling Institute explains about grains and whole grains, "Grains are seeds of plants belonging to the grass family. Species that produce edible grains include wheat, rice, maize (corn), barley, oats, and rye . . . Compared to diets high in refined grains, diets rich in whole grains are associated with reduced risks of several chronic diseases. The health benefits of whole grains are not entirely explained by the individual contributions of the nutrients and phytochemicals they contain. 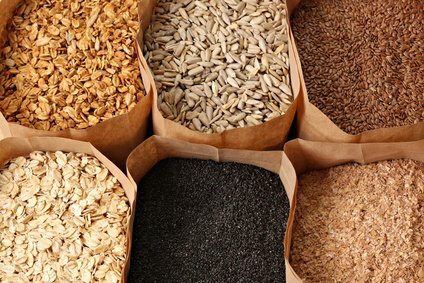 Whole grains represent a unique package of energy, micronutrients, and phytochemicals that work synergistically to promote health and prevent disease." Whole grain porridge is filling and contains many health benefits. It's a superfood. Roman legionaires concured the world on two pounds of whole grains a day. Porridge was not only good for you centuries ago, it was probably the only thing you had to eat. When the pot became empty, you starved until you added more food in the pot. Sometimes the food lasted for day and more and more ingredients were added. Sometimes you got food that had just been made and sometimes you got food that was nine days old. In Laura Ingalls Wilder's fictionalized memoir Little House on the Prairie, she noted that she liked it hot and cold, but it never lasted nine days. 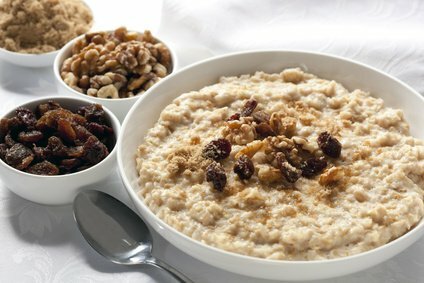 Basically, today porridge is a dish made by boiling cut, ground, crushed, or chopped cereal in liquid. You can use water, milk, or broth. It may be served either sweet or savory. Almost any whole grain can be used in porridge from wheat to rice. From corn you can end up with polenta or grits and if you only use oats, you get what we call oatmeal here in the U.S. I don't think you can make it wrong. If you make it too thin or watery it becomes gruel. If you make it too thick it could become dumplings. I made my own version starting with pre-cooked polenta. Peg had made a marinara of tomatoes, peppers, onions and mushrooms. Marinara has to go in or on something else. I cut slices of polenta and threw them in a two-quart pan and then cut them up with a pastry cutter and added a little milk. I wanted the resulting mix to be rich and creamy, so I added cream cheese along with shredded Parmesan (an Italian cheese from the town of Parma) and Manchego (a cheese from the La Mancha region of Spain). With a little sea salt and course ground pepper the porridge was complete. The dish fed six of us for dinner and breakfast for me for the next two days. It was very tasty. Porridge is so versatile. 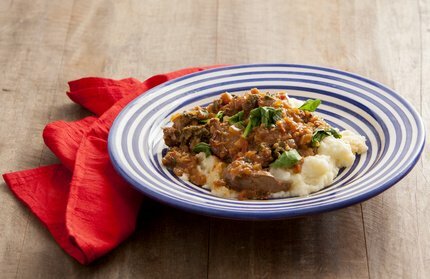 You can serve it as a complete meal in a bowl by adding dried figs or dates, cubed apples, raisins and a little sugar. 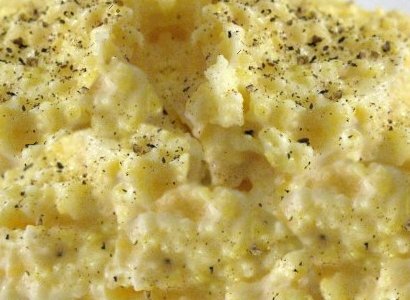 Serve it with a little milk or cream for a great breakfast treat. For dinner you can serve it with chunks of meat and broth. For vegetarians you can make it with vegetable broth and serve it with shredded carrots and slices of cooked broccoli or parsnips. Serve your porridge hot or cold, but I'd forget about the nine days old version. I usually refuse to eat anything left in the fridge more than two days. Porridge and Grits Are Tasty Hot or Cold, whole grain porridge, porridge nutrition article, grits nutrition article, free nutrition content article, Healthy Aging Article, Healthy Living Article.